Find the Audience Services booth in the theatre lobby. Our staff can show you the two ways to get started. You can use our app on your phone or tablet, or borrow a device from us. While the app is free to download, there is an app fee of $4.99 per language. It’s really easy to access Closed Captioning and Audio Description right on your own mobile device—from every seat at this theatre. Download the GalaPro app from your App Store or Google Play before you get to the theatre and create your free account. Get ready for the show! Make sure your smartphone is charged, and don’t forget your headphones if you’re planning to use audio description. 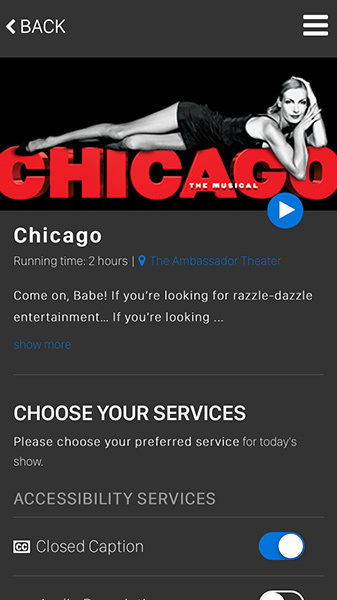 At the theatre, choose CHICAGO then select from the available services. Tap PLAY to begin. Once you’re in your seat, follow the directions on your screen. 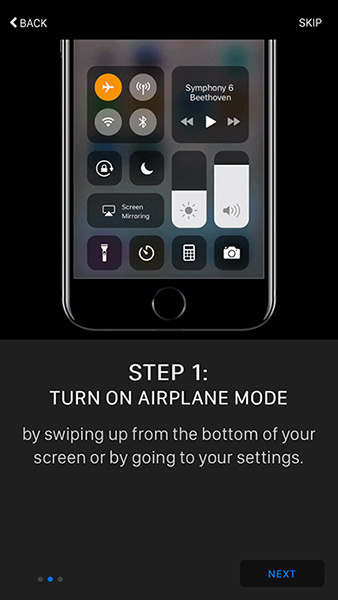 Silence your phone and set it to Airplane mode. Turn on Wi-Fi and choose the GalaPro network. Enjoy the show. Use the Settings menu to control font size, color and brightness. If you use your phone at intermission, just go back to your seat and follow the steps again. If you’re not using your own smartphone or tablet, Shubert has assistive listening, audio description and closed captioning devices available at the Audience Services booth. Be sure to bring a valid photo ID if you plan on borrowing one of our devices. All Shubert Audience Services have been tested with live audiences to make sure they don’t impact the performance for any patron. Our staff is trained and ready to help. We can’t wait to welcome you at the theatre. 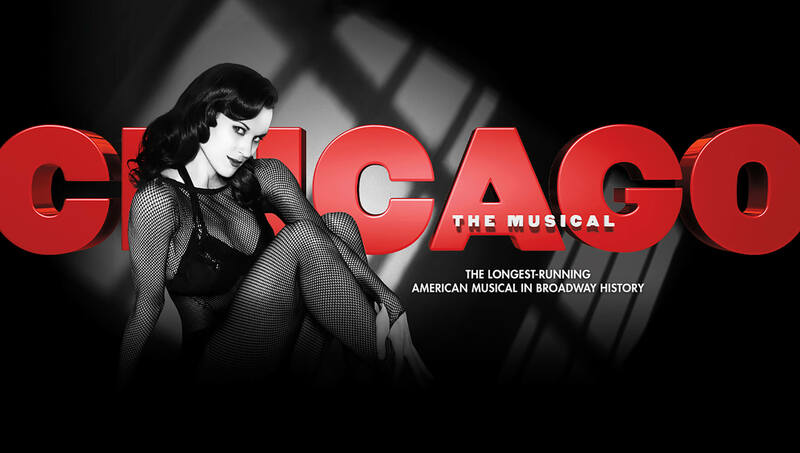 For more information, visit Shubert.nyc/accessibility. And you can always look for an Audience Services professional at the theatre.